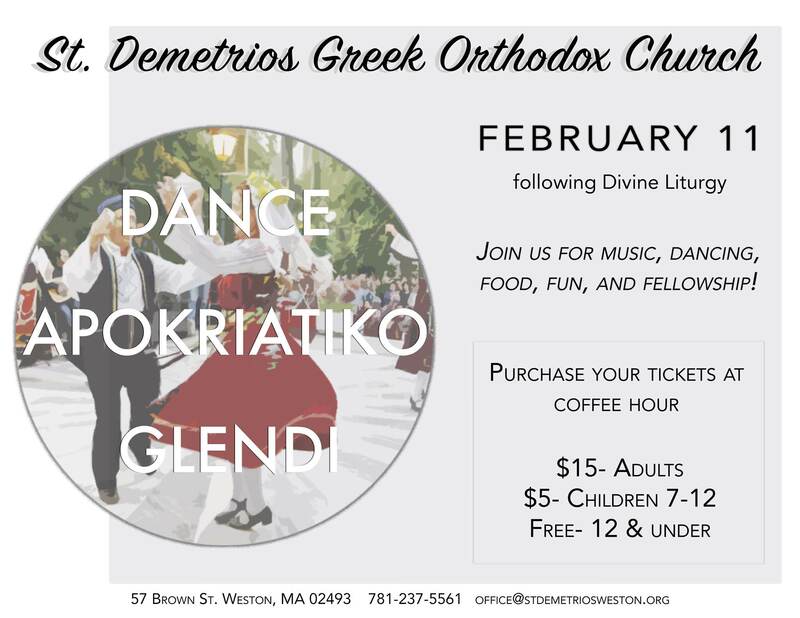 Join us for our annual Apokriatiko Glendi being held immediately after Divine Liturgy on Sunday, February 11th. Music, dancing, delicious food and fellowship as well as fun activities for our kids! $15 for adults, $5 for children 12-17 and free for children 12 and under. We look forward to seeing you then!